Despite the NPA having declined to prosecute, three law enforcement agents say that the case will be revived. Gauteng police have made the decision to relaunch criminal investigations into the alleged assault of a domestic worker by former deputy minister of higher education, Mduduzi Manana, Sunday World reports. Three law enforcement agents told the publication that the case is set to be revived. According to one of them, two police captains who said they were members of the Provincial Special Unit arrived at the Douglasdale police station, where the charges against Manana had been laid, asking the investigative officer who had handled the case questions before leaving with the docket. Two months ago, the National Prosecuting Authority (NPA) declined to prosecute Manana after coming to the conclusion that they did not have enough of a case to do so successfully. Also, the complainant herself, Christine Wiro, has withdrawn the case she laid against Manana in May. Despite this, Gauteng police spokesperson Lungelo Dlamini told Sunday World that they were indeed investigating a case of assault against the ANC MP. “The case is under investigation as it was not closed” by the Director of Public Prosecutions (DPP), Dlamini said. “As it stands from the police the matter is closed and there are no investigations. I spoke to the provincial police and they told me that there are no investigations underway as the matter is closed. But if there are any investigations I will comply because I’m a law abiding citizen,” Manana said. Manana faced allegations of woman abuse in May after Wiro laid charges of assault, crimen injuria and intimidation against him at the Douglasdale police station. 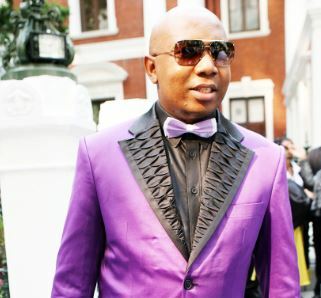 A voice recording Manana allegedly offering to pay R100 000 to his former domestic worker, Christine Wiro, to drop the charges also emerged at the time.